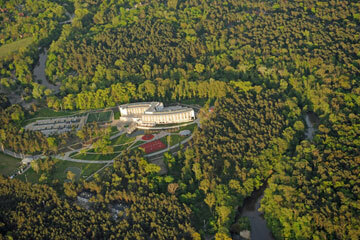 The hotel is located near Warsaw, in a good location, surrounded by greenery and pine forests. 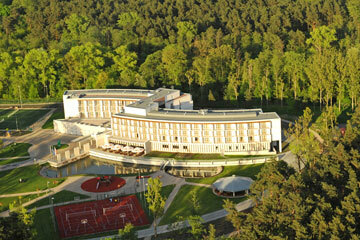 The hotel ensures superb opportunities for relaxation and an escape from the urban hustle and bustle. We provide services of highest quality, which is partly due to the fact that we are a part of the Intercontinental Hotels Group. 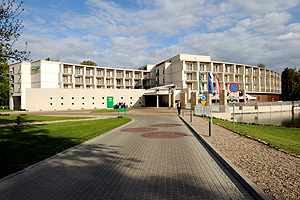 Our guests have at their disposal 123 rooms with fully-equipped bathrooms and internet access. 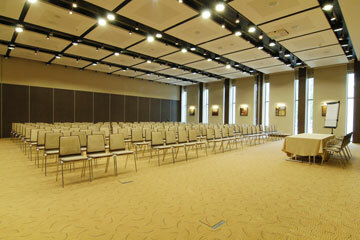 The hotelâs another advantage is the availability of as many as 11 conference rooms, as well as a Business Center. The cuisine will satisfy demanding gourmets and the spacious restaurant is able to accommodate as many as 150 persons. Additional facilities available at the hotel include a Spa Center featuring a pool with hydro-massage, Jacuzzi and saunas. 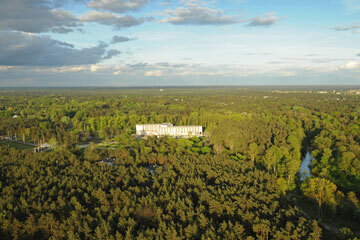 We also offer a golf course and a playground for children. Our car park can accommodate up to 230 vehicles.